Greetings, TGIF and welcome to the final Frocktober instalment of Friday’s Frock. 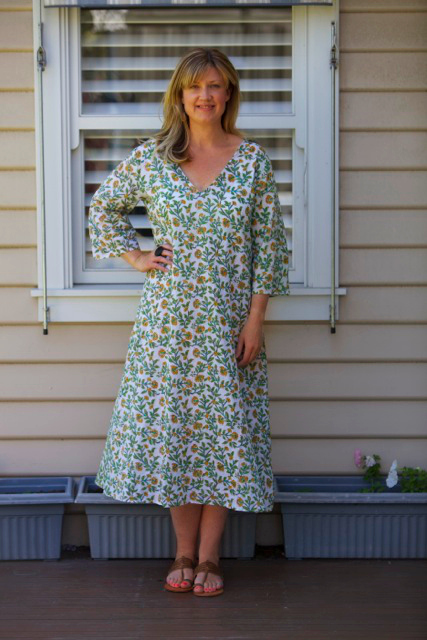 Well it’s been a serious month of frockery around these parts, and, fittingly, we are finishing off the month with a bumper edition of Friday’s frock. 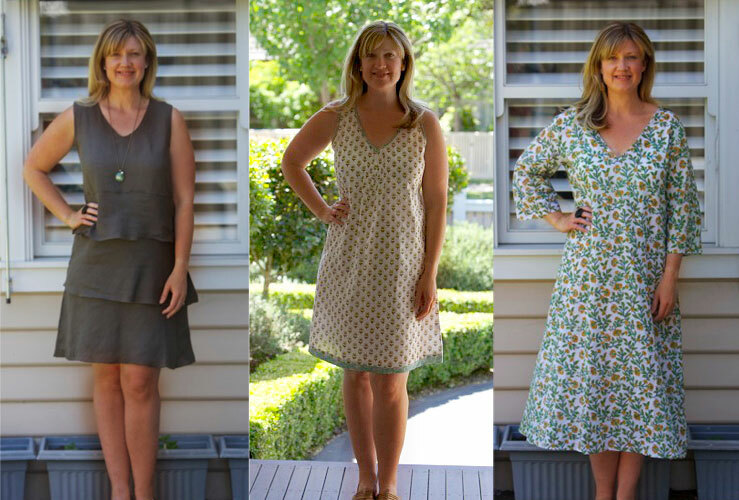 Today I’m wearing three casual summer frocks from two of my fave labels, both of which I’ve featured on the blog recently – Heartfelt Designs Noosa and Bohemian Traders. These frocks actually have a bit in common. Firstly, all of them can be worn with a pair of Havianas through to a wedge, depending on where your day takes you. Secondly, they are all made from natural, breathable fabrics which are perfect for summer. Lastly, they all feature a colour palette in timeless but muted earthy tones which remind me of native flowers. So if you’d like some relief from all the neon and pastel loving going on at the moment, you’ve come to the right place. 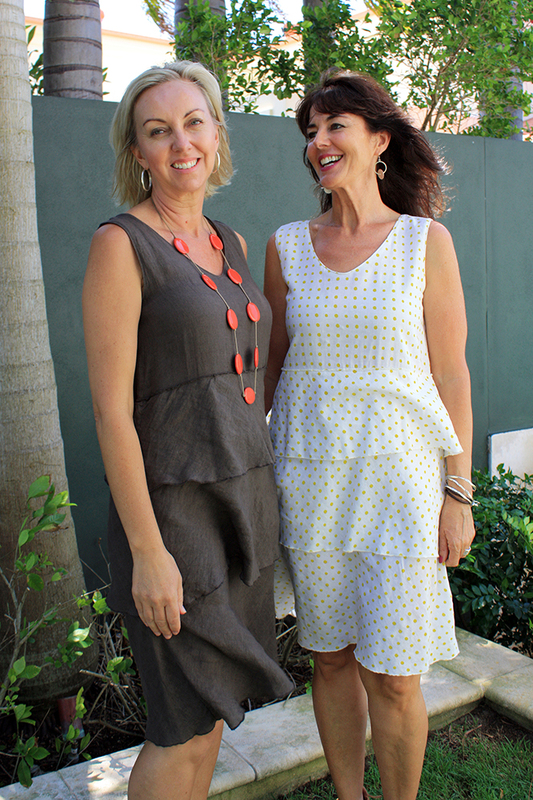 So, without further ado, here’s the first frock off the rack: The Annika Dress in Lemon & White,* $89 from Heartfelt Designs Noosa. This pretty, casual sundress is made from 100% cotton voile. While it’s a simple dress, once again with Heartfelt, it’s the details, such as the contrast fabric trim at the neck and hem, and shirring at the front bust line, which elevate this dress into more interesting territory and make it a refreshing and stylish take on a casual dress. The flattering V neck, A line cut and above the knee length will suit most and make it an easy every day option over the coming months. Just add a pair of tan sandals or yellow Salt Water Sandals and you’ll be good to go. Even though it has a white background, the cotton in this dress is substantial enough so it is not see through and does not require a slip. However, if you prefer a different colour way, it is coming soon in green and tan. I am wearing a size M which fits comfortably. 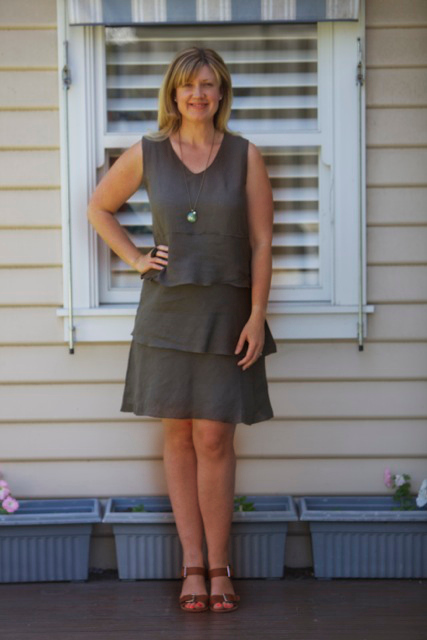 On to frock #2: The Flounce Dress in Khaki,* $80 (on sale) from Heartfelt Designs Noosa. This more sophisticated but still casual dress is made from 100 % linen and is cut on the bias. It’s not always easy to wear frocks cut on the bias however linen plus the flounce factor put this dress on the smarter end of the casual spectrum, making it a versatile dress for dressier day do’s and casual nights. I’m wearing a size Medium and it is a pretty neat fit. This dress is currently on sale but new colours have been brought out in the Spring 2014 range – orange, black and white. If you love linen and are looking for a versatile frock, add this frock to your shopping cart post haste! The third and final frock for the month is the Boheme Dress in Vine,^ $139 from Bohemian Traders. This relaxed, floaty kaftan dress is so comfortable and easy to wear. It’s made from 100% cotton in a flattering A line shape and, on me, three quarter sleeves. I’ve previously worn this frock belted which shortens it slightly but I also like it “free range”. It might not appear to be a high summer frock at first glance, but it is cool and lightweight and provides great protection from the sun. It would be perfect over bathers with thongs but is equally suited to the ‘burbs and a pair of sandals. I’m wearing a M/L which is roomy and comfortable. Well, that’s a wrap for Frocktober. Friday’s Frock will be taking a well earned break next week but will return if you’d like to keep the frocks coming over summer. And finally, if you’d like find out more or support team Kimba Likes with our Frocktobering, all the details are here. * These frocks were kindly gifted to me. ^ denotes an affiliate link. Can you see any of these frocks in your wardrobe? Are you Friday Frocked out? What’s your colour palette of choice this summer?